At Wichita Tree, we know that, just like people, trees need a trim every once in a while to look their best. That’s why we offer year-round tree trimming services! There’s a reason we are the tree service company of choice in Wichita, KS. Trust all your tree trimming needs to a business that makes its living caring for and beautifying trees of all shapes, sizes and species! First, young trees should be trimmed as they grow to be strong and perfectly formed. You can avoid many serious structural problems later with regular trimming. 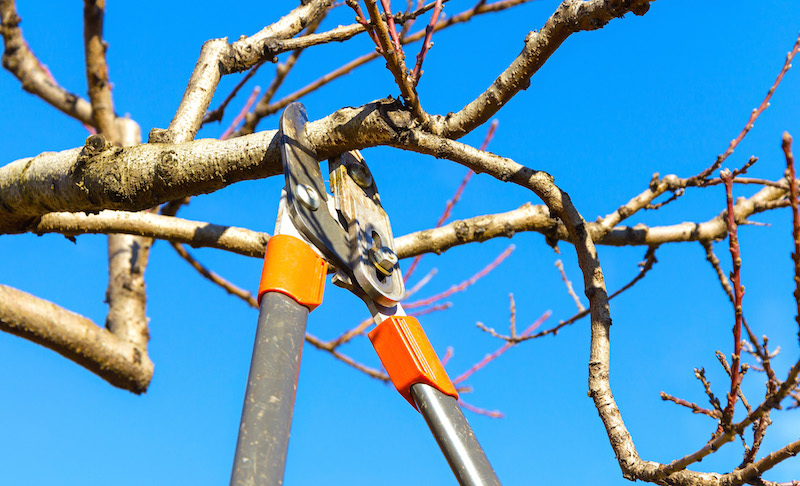 Second, regularly removing dead limbs is a maintenance method that will keep the tree from rotting and decaying. Wichita Tree is committed to the lifelong service of its customers. We will do everything we can to help you preserve your trees! Third, well-trimmed trees allow more sunlight to pour through their branches, allowing sun to reach lower branches. Plants and grasses underneath the tree benefit from tree trimming, too. Fourth, a tree that is well groomed and shaped is beautiful to look at, enhancing the overall attractiveness of your property. Wichita Tree is equally concerned with the health and beauty of your trees. Fifth, doing an overall tree trimming on a large tree can make it much stronger. This means that when winds and stormy weather come, the tree will be less likely to lose individual limbs or come crashing down altogether. Need more explanation on any of these topics? Call Wichita Tree at 316-226-8733 TODAY to speak with an expert tree care specialist and to schedule a FREE evaluation!